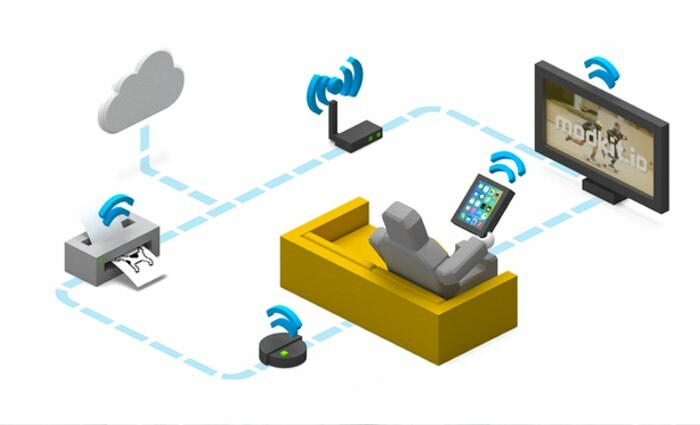 Anyone that is interested in creating “Internet of Everything” projects may be interested in a new multithreaded programming language which has been specifically designed to bring the Internet of Everything to everyone, say its developers, and has been inspired by the already existing Scratch platform. Modkit.io is a new programming language that is intuitive, multithreaded and provides an event-driven syntax, that will already be familiar to those students and programmers who have used the Scratch IDE and language, say it development team. Multithreading is traditionally thought of and introduced as an advanced programming concept, but it just means you can have multiple things going on at the same time. Event-driven simply means you can describe when these multiple things should happen. Unlike most programming languages, both of these concepts are built-in to Modkit.io, not introduced as a complicated afterthought. Modkit.io is influenced by a large family tree and has benefitted from extensive interaction between its designer Ed Baafi and the designers of some of the most popular languages used by hobbyists and in education. For Ed it started over a decade ago, when Amon crossed the same bridge you see in our video carrying a flash drive containing Scratch, a new graphical programming language from his advisor Mitch Resnick’s Lifelong Kindergarten Group at the MIT Media Lab. Ed had experience teaching with Logo, one of Scratch’s text-based predecessors, alongside one of its original designers Cynthia Solomon. Amon said that like Logo, Scratch was designed to make coding more accessible for kids and that just like hip-hop DJs would remix beats, vocals, and samples from existing material, Scratch was designed to let kids remix sounds, images and the programs that control them into whole new digital creations. We founded Modkit to bring the same accessibility as Scratch to microcontroller programming, originally targeting Arduino compatible development boards powered by the C++ based Wiring framework which itself has its own rich history. But Wiring/Arduino was single threaded, forcing programmers to coordinate everything in a single event loop and Modkit’s early tools suffered this same limitation. For more information on the new Modkit.io programming language jump over to the Kickstarter website for details following the link below.